and the homage owed to nature. Browsing through new DVD releases at a store in MalmÃ¶ this weekend, I came across a new Swedish release of Jan Troellâ€™s big essay film from 1988 â€“ Sagolandet. I did not see the film upon its original release, but I remember that it created a lot of controversy in Sweden at the time. I expect to view it within the next couple of days, and will post further. The good news up front is that it carries English subtitles. I confess that I have not seen many of Troellâ€™s films, but I did have the good fortune of seeing a screening of his first feature film HÃ¤r har du ditt liv, and it is amongst the most impressive Scandinavian films I have ever seen. How it is not out on DVD even in Sweden is a mystery. Almost as great, and certainly far more famous, are his two films from the early seventies â€“ Utvandrarna and Nybyggarna, which taken together constitute a six hour adaptation of Wilhelm Mobergâ€™s cycle of novels depicting a Swedish familyâ€™s immigration to the United States in the 19th century. With the exposure that Bergmanâ€™s films have received all over the world, it is again surprising that these two films starring Max Von Sydow and Liv Ullmann have not been released anywhere on DVD outside of Sweden. There are several other great films in Troellâ€™s filmography, several of them out on DVD in Sweden (some of them with English subs) and apparently a new one premiered earlier this month at the Toronto Film Festival. For me, this is a director ripe for discovery. Everlasting Moments is being released on DVD in the UK on 28th September, according to Moviemail. Ole dole doff (1968) - Haven't seen this for a long time. It's based on Troell's experiences as a teacher, and as I remember it shows the hard life of a well meaning teacher. He has difficulty getting the children inspired, and doesn't get the support he needs from the school. I liked the film, and the perspective on school life is not the usual one. Imagine being a teacher instead of a pupil in The 400 Blows. Utvandrarna/Nybyggarna (1971, 1972, The Emigrants/The New Land) â€“ I have the Swedish 3 disc set of this from Svensk Filmindustri (SF). Based on Mobergâ€™s books about the Swedish emigration to USA, these are Troellâ€™s best known films. I like them a lot. Filmed in south Sweden, including the parts that take place in USA, it has beautiful photography and great compassion for the hard life of the Swedish peasants. Itâ€™s been noted recently in Swedish media that Troell went against the political feelings in Sweden in the early 70â€™s, showing America as a place of hope, where you can hopefully escape not only poverty, but more importantly a repressive state and church. The 3 disc box has the two films in theatrical cuts (378 minutes in total) plus a bonus disc with a one hour documentary and more. Excellent picture quality, anamorphic widescreen, and commentary by Troell and the Producer. Subtitles in Danish, Finnish, Norwegian and Swedish, but not English. Sagolandet (1988, The Land of Dreams) â€“ I have this on DVD. This is a strange film. 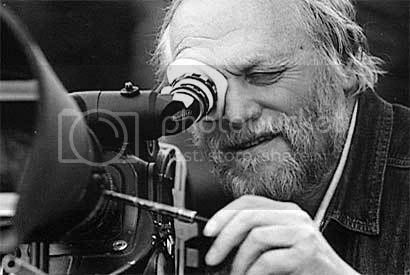 Troell is his own cinematographer, and for me this is the thing I can enjoy with this 184 minute documentary. There is a lot of playing with light and reflections when Troell talks about childhood and what Sweden means to him. But the central theme which is Troell and American Rollo May attacking the socialdemocrats who had ruled Sweden for most part after the second world war doesnâ€™t interest me much now (Swedish politics has changed a lot since then). Especially as Rollo May often irritate me, but is admired by Troell. The DVD is from Noble Entertainment. Picture quality is ok but not good, very grainy and lacks contrast. No extras, subtitles in Swedish and English. Hamsun (1996) â€“ I have this on DVD. Swedish, Norwegian, Danish, German co-production starring Max von Sydow as the Norwegian author Hamsun. Long film (152 minutes) that is well done but didnâ€™t really grip me. It shows how Hamsun, who was maybe Norwayâ€™s most loved author, came to be a Nazi sympathizer and treated as a traitor after the second world war. Interesting film if you want to know more about Norway before and during WWII. The DVD I have is Danish from Nordisk Film. Good picture and anamorphic widescreen, and includes a 23 minute interview with Max von Sydow as an extra. Subtitles in Danish, Norwegian and Swedish. Maria Larssons eviga Ã¶gonblick (2008, Everlasting Moments). I watched this as it came out on cinema a year and a half ago. Itâ€™s a portrayal of a mother at the beginning of the 20th century struggling to cope with an alcoholic husband. She gets a camera and photography becomes the place where she can escape from everyday life. The film is based on a family member on Troell wifeâ€™s side, and the photographs she took. For me the best moments are when she discovers what light can do to an image. This is sometimes similar to what Troell does with light in Sagolandet. And on a personal note I was delighted that I had three Swedish teenagers with me when watching this, and two of them actually liked this slow film! The one film that I most want to see, but havenâ€™t got hold of, by Troell is IngenjÃ¶r AndrÃ©es luftfÃ¤rd (1982, Flight of the Eagle), once again starring Max von Sydow. And a last personal note â€“ I once met von Sydow on the streets in Old Town Stockholm. And he is very impressive in real life, even as an old man. Tall and with a determined walk, it felt like something from another time brushed past me. Music Box have picked up the rights to his latest film, The Last Sentence.